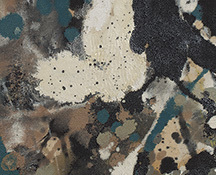 One of the most prominent and influential of these abstract expressionists was Jackson Pollock, who became a household name in 1949 when images of him in his Long Island studio landed on the pages of LIFE magazine. 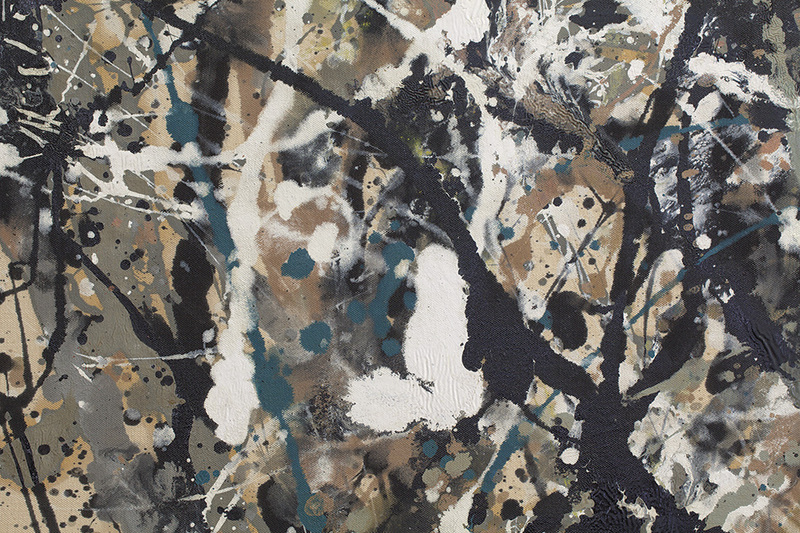 Pollock seemed to embody America’s brawny, postwar spirit of innovation, and his untimely death a few years later at the age of 44 while driving a convertible at high speeds along East Hampton’s farm lanes further stoked his biopic-ready renown. 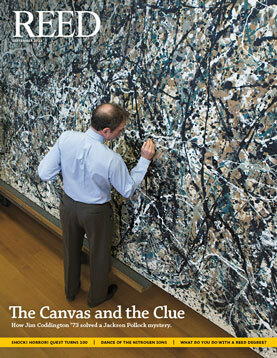 It’s no small irony, therefore, that many of Pollock’s half-century-old canvases today depend on just a few low-profile masters for their survival—namely, rare experts like Jim Coddington, the Museum of Modern Art’s chief conservator since 1996.
top: Before treatment; the painting had some deep cracking and was partially filled with gesso. 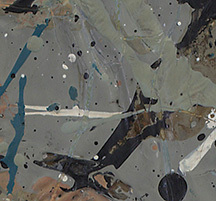 bottom: After treatment; Coddington and his team retouched such cracks using watercolor paints, not to mask them completely, but to make them less visually prominent. 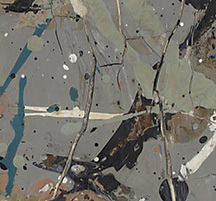 It was with some trepidation, then—earned through a lifetime of hard-won experience—that Coddington faced the challenge of restoring one of the signal works of postwar American art: the abstract expressionist gem One: Number 31, 1950. 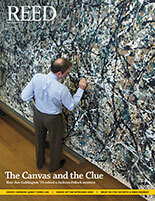 MoMA held a blockbuster Pollock retrospective in 1998 that gave One pride of place. 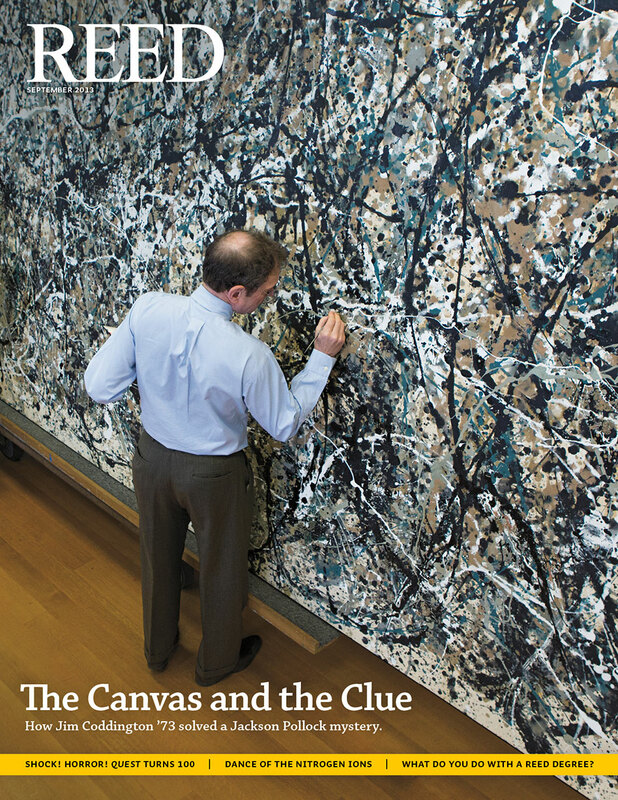 But the exhibition also revealed that the canvas, according to Coddington, was suffering from a general “yellowing and buildup of dirt and dust in the painting’s crevices.” In July 2012, One was officially retired from the museum’s fourth floor for restoration. 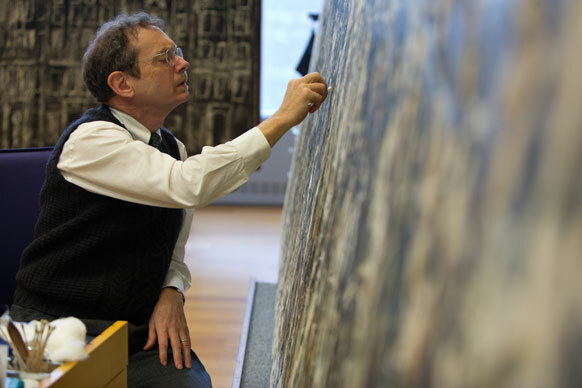 Over the next 10 months, Coddington and assistant conservator Jennifer Hickey embarked on a period of close examination, cleaning, and repair that they chronicled on MoMA’s blog. As they inspected the historic canvas, however, they stumbled across an unexpected puzzle—one portion of the picture contained paint and brushstrokes that were dramatically different from the rest. 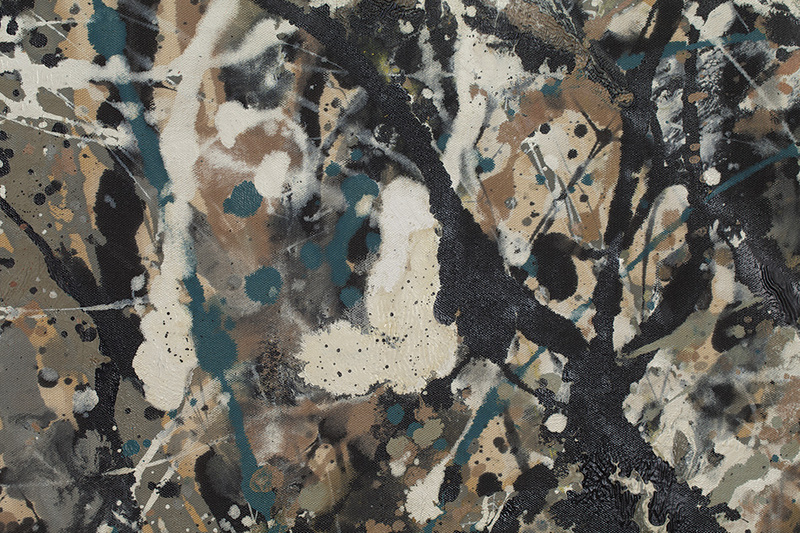 Was this simply an example of Pollock’s unpredictable technique? Or was it a subsequent alteration by a different hand—the equivalent of a doodle on the Mona Lisa? At stake was the painting’s very integrity, not to mention its value. If the MoMA team made the wrong call and altered the canvas accordingly, they would be guilty of a monumental artistic crime. But if they ignored it, they would be aiding and abetting someone else’s crime. To find his way out of this dilemma, Coddington needed a crucial piece of evidence—and he knew where to look for it. left: Before treatment; the white passage had been partially obscured by gritty, yellowed overpaint and small splatters of black paint. 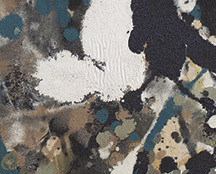 right: After treatment; removal of the overpaint reveals hairline cracking but an otherwise undamaged surface.